The Avatar materials are designed and intended to be an effective means for inspiring the realizations and changes that will move you toward a stable spiritual awakening. They should be considered as means (tools), rather than doctrines. Siddhartha Gautama lived in the forest, and then he moved to the city, lived there for a while, and then he moved to a mountain, lived there for a while, and then he moved to a river and lived beside the river for a while. 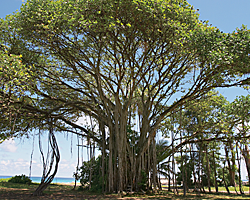 Finally, under a banyan tree, he achieved a state of perfect enlightenment, and was henceforth called the Buddha. So it seems to me that the path is pretty simple. First you live in the forest, then move to the city, then go live on a mountain, then live along a river, and then look for a banyan tree. No? Then I guess it wasn’t where Buddha was living that was important. What was important was that certain realizations and transformations were happening to him that culminated in his enlightenment. How does a spiritual path bring about these realizations and transformations leading to enlightenment? 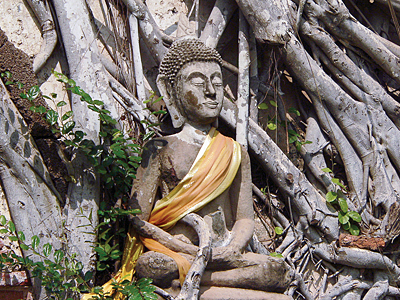 Most spiritual paths employ various instructions, teaching techniques, rituals, and individual practices. Together these constitute the tools of a spiritual path. Some paths are more effective than others, and some paths are more personally suited to some mindsets than others. If a tool is used properly, it either produces the expected results or it doesn’t. Of course, tools have other qualifying factors: ease of use, speed of result, effort involved, cost involved, and in some cases, avoidance of collateral damage. 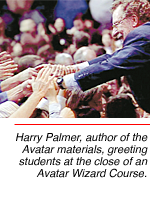 The Avatar tools rate favorably in all categories and are remarkably effective considering the general mental condition of the people to which they are being introduced. If you examine the current state of the world, you will find that most people are reacting according to deeply indoctrinated beliefs. Some will argue that they are not reacting and are making free will choices, but the truth is that past conclusions and old fears make most of their decisions. Nearly everyone is operating according to someone else’s rules rather than their own intuitive principles. People live in what was, and they selectively perceive only enough of the present to excite their conclusions about things. The major aspiration is to be right rather than to be aware. In this compulsive commerce of approval, most interactions are consciously or unconsciously manipulative. Most are governed by praise (pleasure) or criticism (pain). What people do and say to each other creates reactions. If the experience of the reaction is considered pleasurable, attachment develops. If the experience of the reactions is considered painful, resistance develops. Some paths are more effective than others, and some paths are more personally suited to some mindsets than others. The same experience may affect different people differently. People’s considerations of what is painful and what is pleasurable follow patterns created by their beliefs and memories of past experiences. If you traced the considerations of pain and pleasure all the way back to their roots, you would most likely find them associated with survival concerns: food, shelter, and reproduction. At the present time, most of human consciousness operates like a roll of exposed film. It seldom pictures the world moment to moment as it is, but carries around pictures of what the world was like. Individuals wrestle with the fears and sufferings of the past-obstructions that rightly should be assigned to history and left there. So this is how we begin. The sections of Avatar are designed to encourage the realizations and changes that a person must go through to move from a life of indoctrinated responses into a life of living deliberately. The necessary realizations and changes are not the same for everyone. Also the realizations and changes are not a straight line or an exact series of steps. Instead, they follow a winding path of necessarily unique experiences that sometimes nurture the ego self, sometimes a compassionate self, and slowly or suddenly, arrive at an experience of spiritual self. It may sound like a linear process, but it seldom is. Yes, word lessons can be presented as a straight path to understanding enlightenment, chapter following chapter, but world lessons wander; life stops to explore. It loses its place. It falls down, runs into walls, sheds tears, and then has a good laugh as it gets up and brushes itself off. If only perfect people could experience enlightenment, very few would arrive. Progress does not always mean that you are moving in the direction of being more compassionate, righteous, or spiritual. The unique experience you need might be painful or destructive. Sometimes the next lesson is negative, or ego strengthening, or overwhelming. Unless you are able to live a cloister life, your spiritual tools need to work on practical matters as well as metaphysical matters. As an aside, religions tend to stall out around the high points of a spiritual path. These hesitations can be obstructions to moving forward. Sometimes a parishioner has to fall into sin and be excommunicated before he or she can move on. The last step before personal freedom may be to commit an unpardonable sin in your faith. The transgressions, honestly confronted, transform your judgments into compassion and empathy for others: Someone who always acts kindly has trouble understanding someone who fails to act kindly; not doing good might seem unforgivable to someone who always does good. Next I am going to take you through the sections of Avatar one by one and roughly describe the changes that are expected to occur in each section. But let me caution you, reading about these changes, even in detail, is not the same as experiencing them. ReSurfacing reminds people that there is a difference between the experience of self and the experience the self is having. Later on the path, these two may again merge, but at this level of awakening the direction is to realize that there is a difference between the perceiver and the perception. There is a difference between one’s self and one’s role model. There is a difference between acting deliberately and reacting. There is a difference between you and your problems. The fundamental change that occurs on ReSurfacing is a deepening of the experience of “I am.” This is a transformation from, “Oh sure, I am,” to “Oh my God, I am. I really am.” This is an “I am” that is discovering personal responsibility. This opens the door to powerful realizations that break the grip of indoctrinated beliefs. Experiencing “I am” as something more than a mental concept causes a transformation and a healing. Personal responsibility replaces robotic reactions to authority. Suddenly you can observe and choose how, or even if, you will act. When somebody talks about Avatar as a self-discovery course, they’re talking about this level of realization and change. All suffering arises from mental processes, in particular from beliefs and judgments. Resistance to what is inevitable produces suffering. It is no surprise that certain philosophies and religions consider life to be suffering. They don’t have an effective technology to handle mental resistance. The best they can do is to still the mind by discipline; when the mind is still, the suffering ceased, but so too do the lessons conveyed by suffering. Section II is a modern approach to achieving control over the mind; there is more subtly to the mind than turning it off and on. This control is such an unusual accomplishment that many people, until they experience it, do not believe it can be done. But it can, and it is part of the changes that happen on Section II of Avatar. Section II is where the path begins to wind. You might take a detour into the material world. Ego development is built into the exercises in order to prepare for the next transformation. After the experience of “I am,” the next experience on the path is, “And I’m pretty darned cool.” Section II removes your limitations and releases your creative powers. Your first response will probably be to create something that you have long desired. This is the ultimate pleasure of the ego, to create exactly what one wants. The Section III rundowns are a journey inward to unlimited self. They bring you into the space that has the power to define self. The rundowns identify and release the tentacles of the past, and you come effortlessly into a deep level of the present. The present rather than the past now shapes whom you are and what you choose to experience. In this state, you act intuitively, are motivated by high principles, and operate from an awareness that is independent of self. So these are the sections that make up The Avatar Course. They are intended to be experiential rather than intellectual.